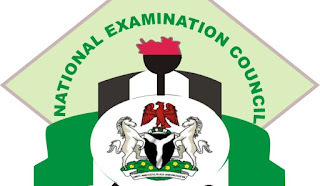 National Examination Council of Nigeria, NECO Registration Fees, Charges and Payment for SSCE Internal/External, BECE and National Common Entrance Examination, NCEE for 2019/2020. This is to inform all Schools, Principal, Proprietor/Proprietress and Candidates that the National Examination Council of Nigeria, NECO has released the updated and Registration Fees, Charges and Payment for SSCE Internal/External, BECE and National Common Entrance Examination, NCEE for 2019/2020. Prospective candidates, individuals, schools can now access the charges of all the services been offered by the National Examination Council, NECO ranging from Registration, Result, Checking, Syllabus, Brochures, Certificates, Photo Albums, CAS Upload e.t.c. All items in RED COLOUR are direct Remita linked payments. What is walk in fee? Click here to learn more on NECO Nov/Dec (GCE) Walk-in Candidates" Registration Guidelines 2018/2019.